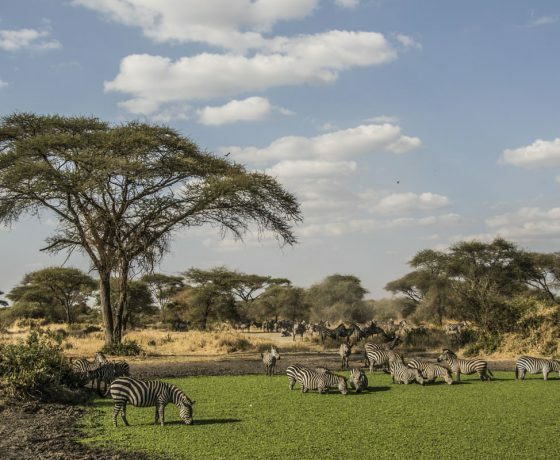 Little Chem Chem overlooks Lake Burunge in Tanzania’s Great Rift Valley. 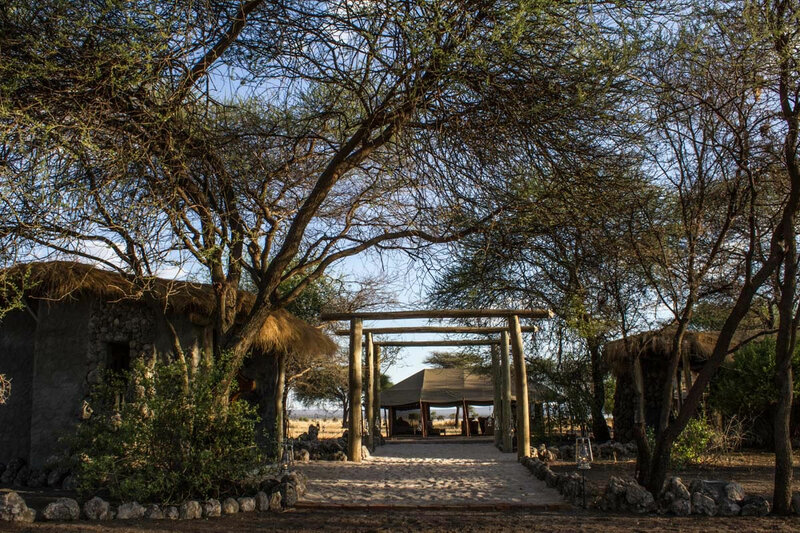 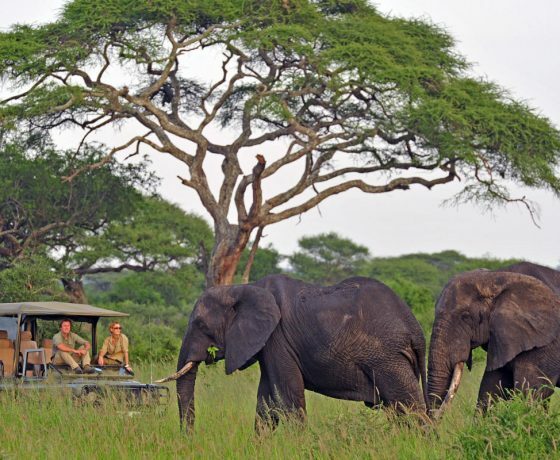 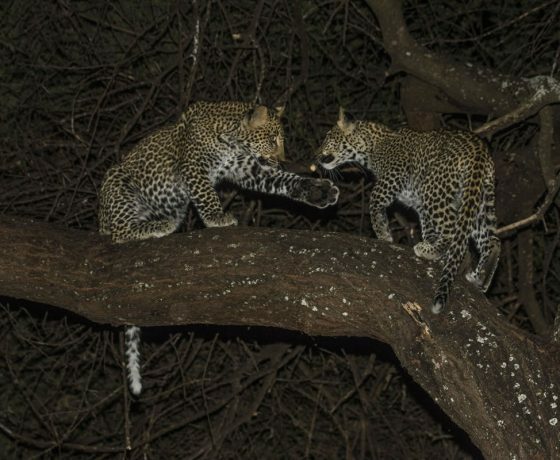 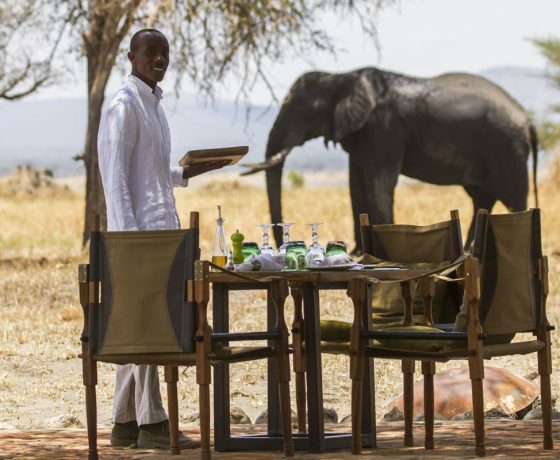 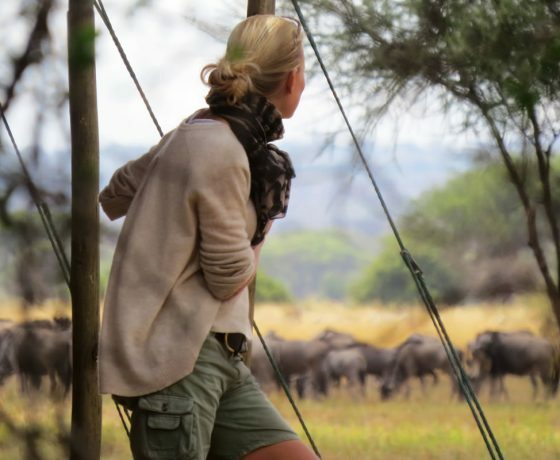 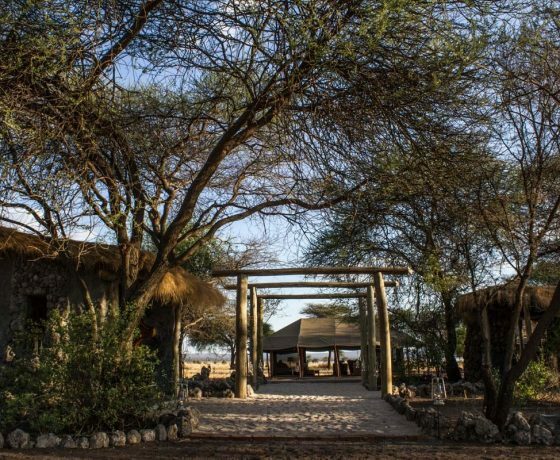 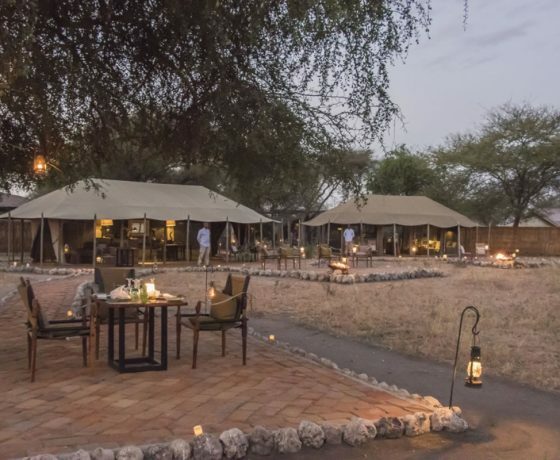 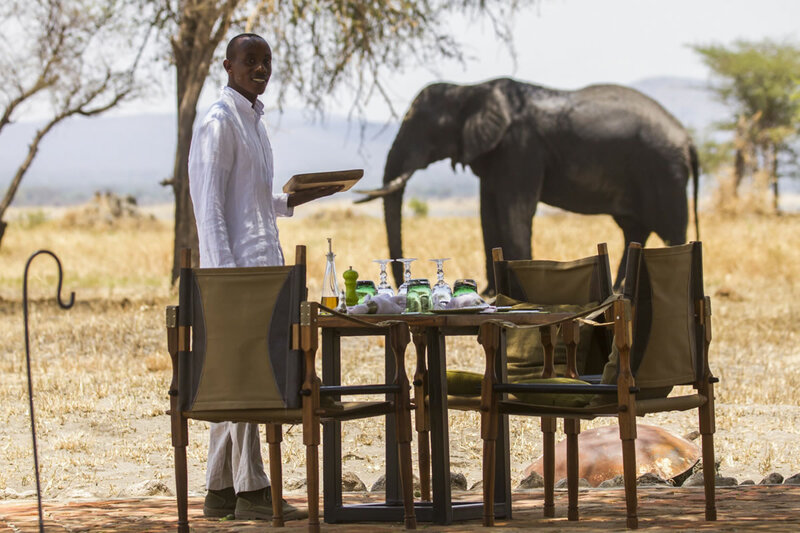 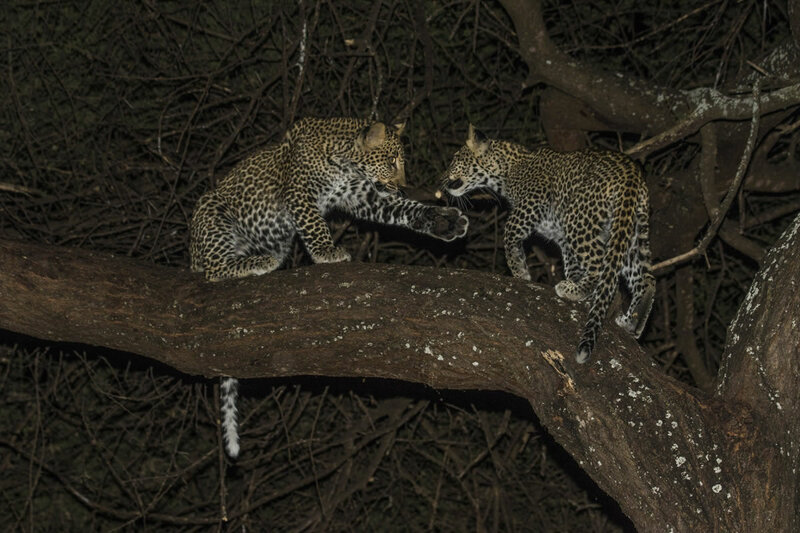 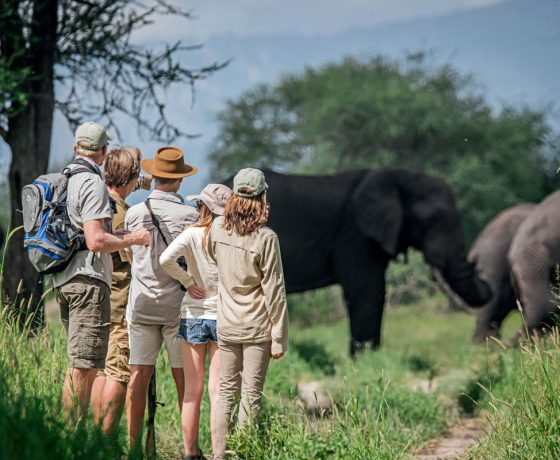 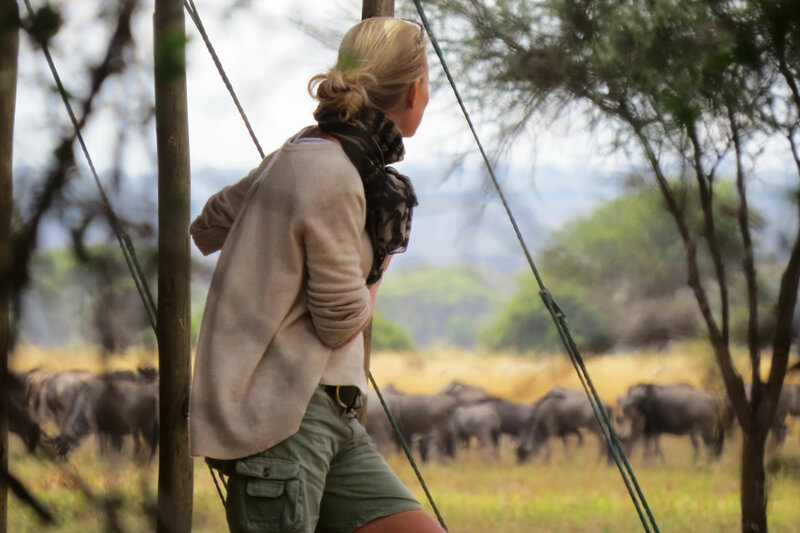 The camp is in a large private concession close to the edge of Tarangire National Park, surrounded by a classic savannah landscape with plenty of mighty baobab trees. 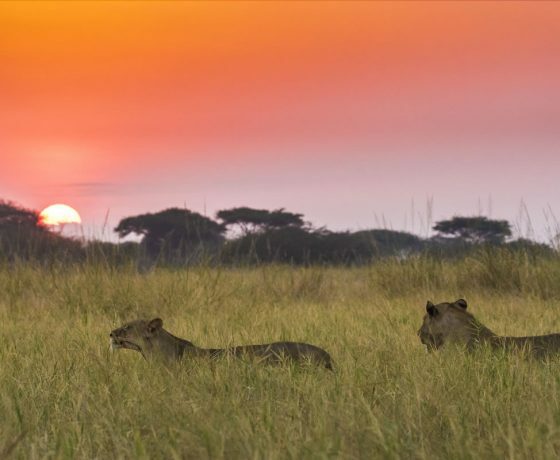 The Babati mountain range offers a magnificent backdrop to the south-west, and the position of the camp allows for wonderful views of sunrises. 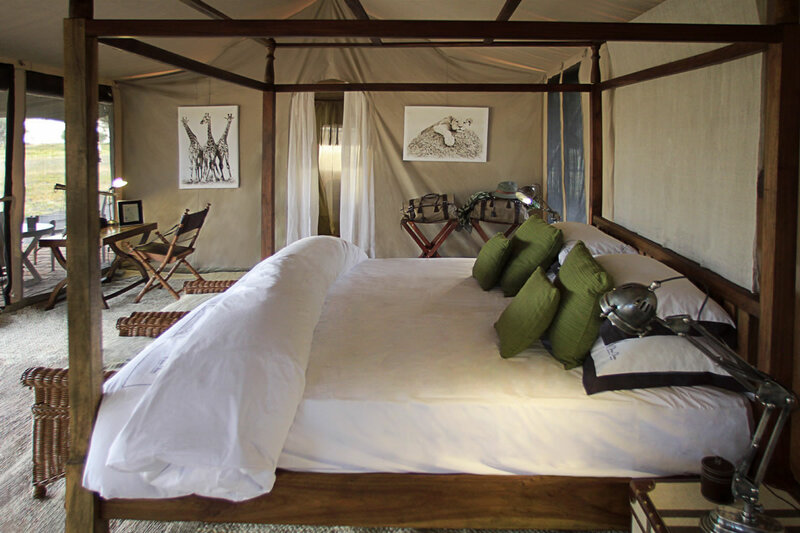 Little Chem Chem comprises just five large vintage-style safari tents, each with a spacious and well-furnished bedroom, a dressing room, and an en-suite bathroom with bucket shower and flushing loo. 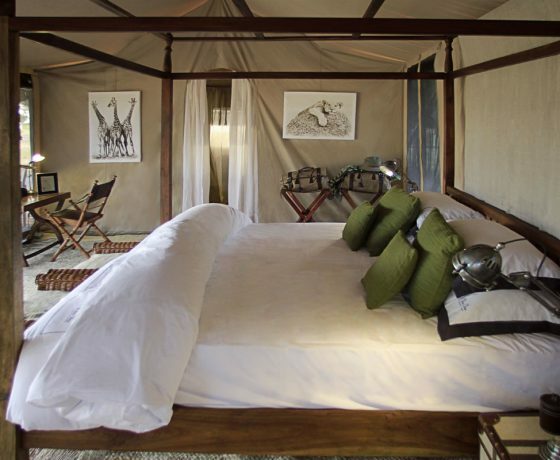 The camp has an attractive mess tent, elegantly and carefully decorated with high quality pieces of classic furniture. 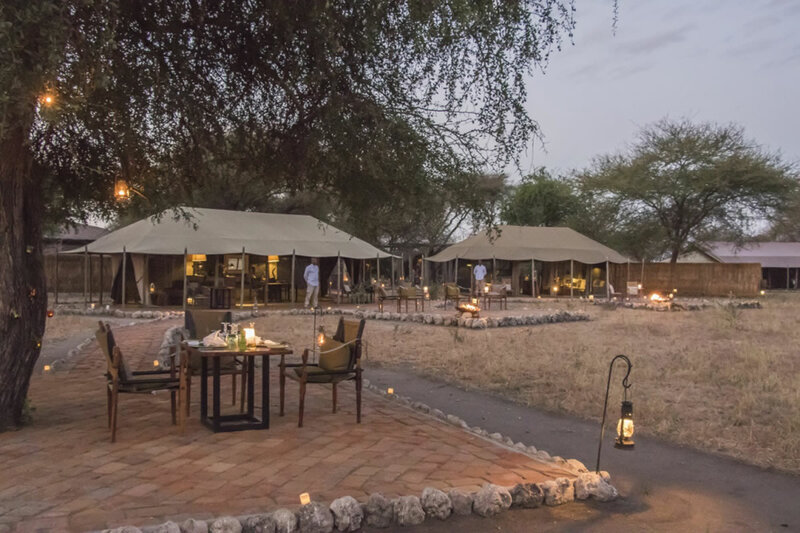 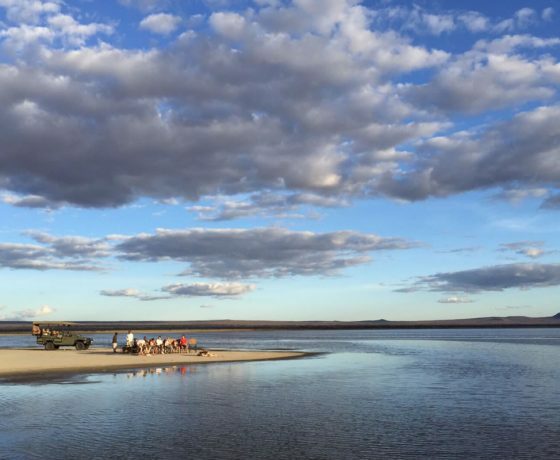 Meals are often eaten under the open sky, lit either by the sun or the stars, and the atmosphere of the camp is relaxed and peaceful, with guests encouraged to take life a little more slowly than usual. 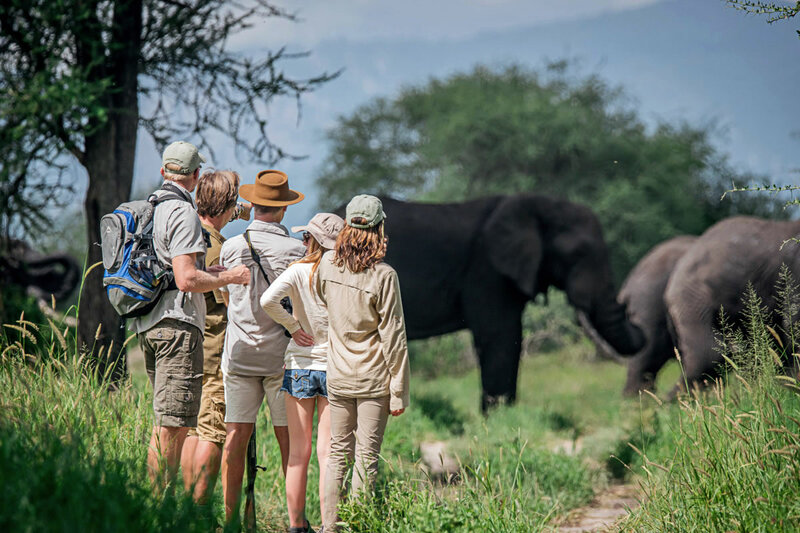 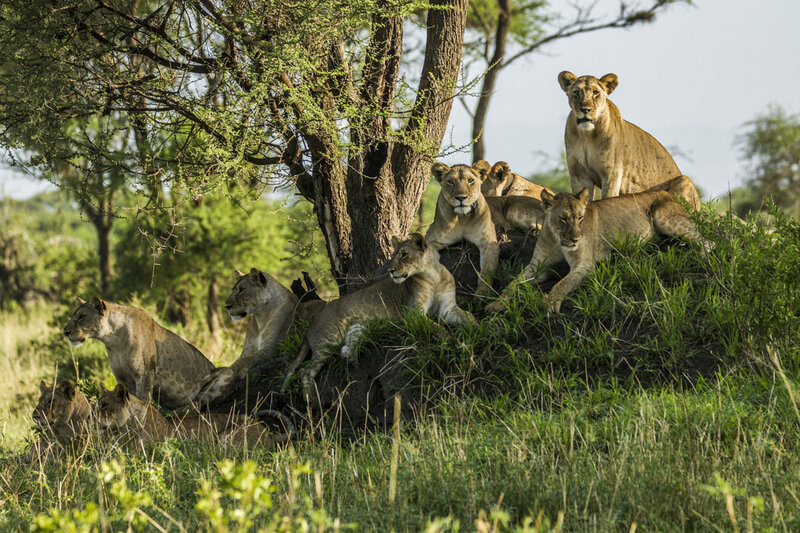 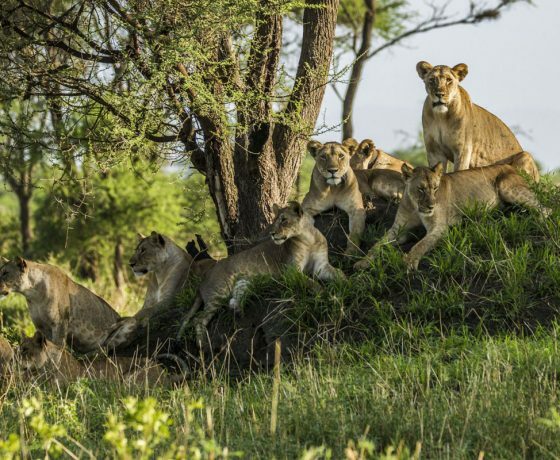 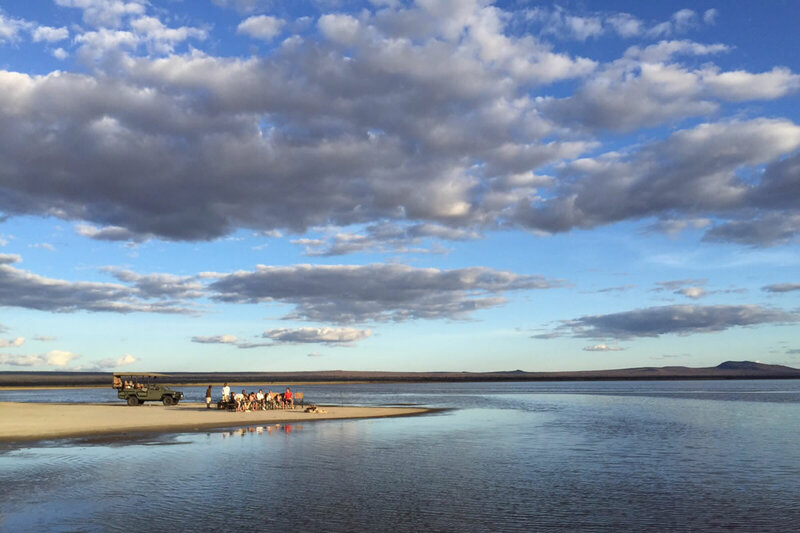 The wildlife around Little Chem Chem is plentiful and varied, with lions often seen close to the camp and heard calling at night, elephants drinking from Lake Burunge, cheetah hunting on the plains around the lake, and leopard, eland and lesser kudu seen in the denser woodland. 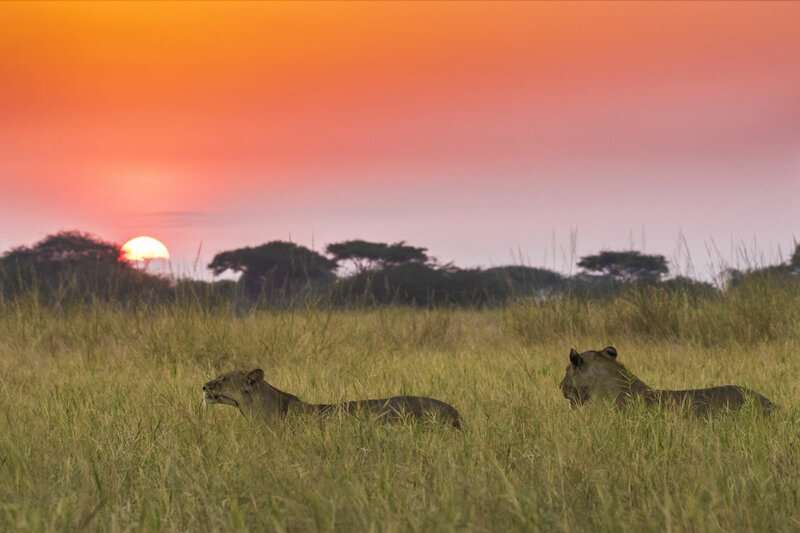 The bird life is also abundant and colourful. 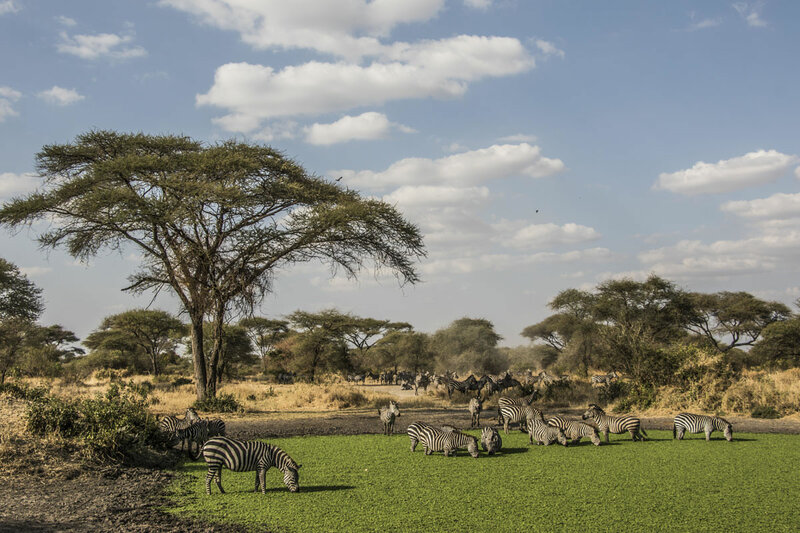 Little Chem Chem is a good base for game drives into Tarangire, and the concession is perfect for walking safaris, something of a speciality here. 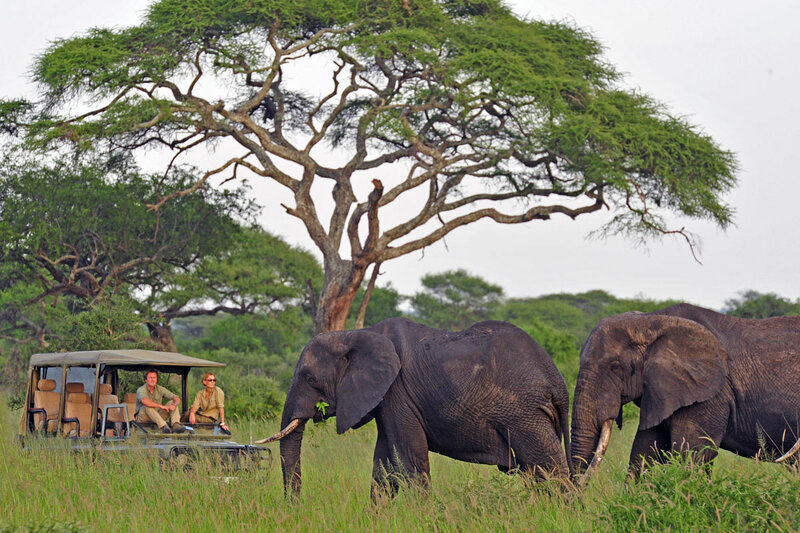 Guests can also take day and night drives from camp.